High blood pressure or hypertension is increased or high levels of blood’s pressure in the arteries, which is obviously not a healthy state. Unfortunately, this condition does not exhibit pronounced symptoms until a lot of damage is done inside the body due to continuously raised blood pressure. People with a family history of hypertension, smokers, excess body weight, alcoholics, less physically active and elderly should regularly get their blood pressure monitored so as to catch it early if it is going above the desired levels. For pre-hypertensives or even otherwise, consider following the DASH diet. It is rich in vegetables, fruits, whole grains and low fat dairy food products. It controls fat and cholesterol. It also restricts sodium in the food, which can raise blood pressure and promotes foods rich in mineral such as potassium, calcium and magnesium that help in lowering blood pressure. Experts always recommend cutting down on salt. Limit processed foods, replace salt with herbs and spices and don't add too much salt to the cooked food. Recommended salt intake is no more than 1,500 mg a day, which is approximately one teaspoon. Do at least 30 minutes of moderate activity or exercise in a day. it could be playing a sport, running, cycling, swimming, aerobics or even a regular brisk walk. Extra kgs make hypertension more likely. Shed extra weight with appropriate physical activity and healthy diet. Drink no more than two drinks a day for men and no more than one for woman should be the highest limit. If you don't drink, don't even bother to start. Stresscan make the person overeat and skip exercise. Find healthy ways to ease stress, lower work pressure, sleep well and avoid tension inducing situations. If you can, buy a home blood pressure monitoring kit, a small gadget which is easily available at medical stores. Take your blood pressure twice a day once in every 10 days. Any consistent rise in it should be discussed with the physician. 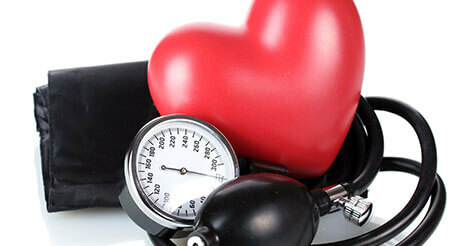 Increase in blood pressure is another common problem, which we get to see in people of different age groups today. This is due to unhealthy lifestyle choices. To control your blood pressure, you can watch out for simple tips such as your eating habits, intake of the salt, exercise and so on. You can also go for an apt health checkup offered by Indus Health Plus like fitness checkup. It will give you an overall idea about your health status with which you can start the medication if needed. It is always better to be prepared. For further queries, concerns regarding health check-up, fill the form below so that our team will get in touch with you.